Center for Asylum in Banja Koviljaca was established by the Decision of the Government of the Republic of Serbia on December 6, 2008. It is located in the vicinity of Loznica. The facility itself was built in 1965. At the time, it was used by theFederal Secretariat for Internal Affairs of the SFRY as a Reception Center for Foreigners. Initially, asylum seekers from countries of Africa and South America (namely Chile) were accomodated in the Center. From the end of the '70s and the' 80s, it was used to accommodate asylum seekers from Eastern European countries, who were under the mandate of the UNHCR office in the SFRY. In 1995, it was turned into a collective center for refugees from former Yugoslav Republics and as such functioned until 2005. In 2006, the Government of the Republic of Serbia adopted a Decree to turn the facility into an Asylum Center. Within the same year the UNHCR reconstructed it using the EU funds. The Asylum Center started to work on October 30, 2007, originally with mandated refugees under the protection of UNHCR. It received the first asylum seekers under the Law on Asylum of the Republic of Serbia in June 2008. The handover of the facility between UNHCR and the Commissariat for Refugees took place on December 16, 2008. The current capacity of the Center is 120 beds. Since 2012, it also possesses a prefabricated facility. 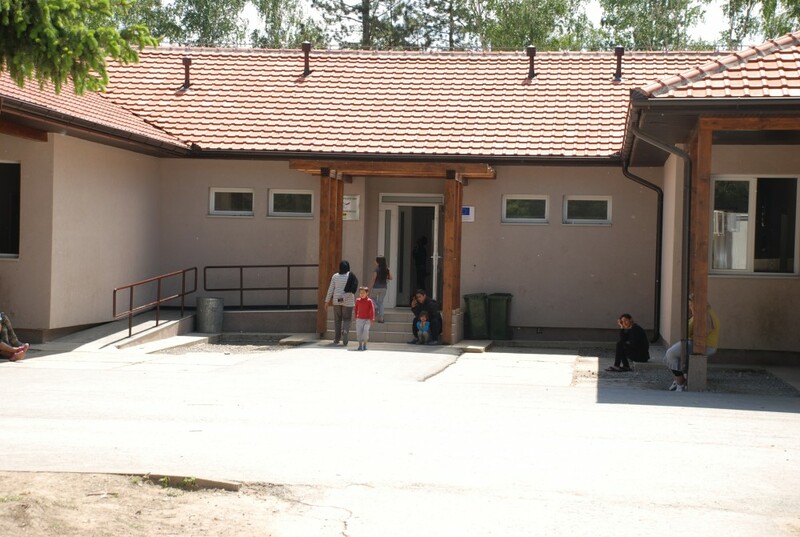 Asylum Center in Bogovadja was opened by the Decision of the Government of the Republic of Serbia in June 2011, in the facility of the Red Cross. The Center is located in the village Bogovadja, Municipality of Lajkovac. It consists of a main building with the accommodation capacity, sanitary facilities, dining room and a corner for children, as well as administrative buildings with an outpatient clinic, auxiliary facilities, sports fields, playground and parking. The center occupies a surface of three hectares, in a natural environment, surrounded by woods and spacious green areas. The total capacity is 200 beds, which includes a total of 42 rooms, from double to multiple, which are arranged in two wings of the main building. The sanitary facilities contain a total of 32 shower rooms, 37 toilets and 52 sinks. The center has a modern, fully equipped kitchen, where meals are prepared daily, as well as a large dining room with 106 seats and a banquet hall. The Center also has a Children's corner for educational and entertainment activities for children of different age, sutiable for language classes, internet and social corner, space for watching TV and socializing. Center for Asylum in Sjenica was opened in December 2013 in the hotel "Berlin" right in the center of Sjenica. Due to the increased influx of migrants in March 2017, the capacity of 200 beds was extended to an additional 250, in a renovated building of the former factory "Vesna". The Asylum Center possesses accommodation, common rooms, administrative, auxiliary and rooms for special purposes, as well as parking. Moreover, the Center has a fully equipped kitchen, where meals for asylum seekers are prepared every day. Center for Asylum in Tutin was established at the extraordinary session of the Government of the Republic of Serbia in November 2013. It received the first migrants on January 16, 2014. It is currently located in Vidinajska 1 in Tutin, within the complex of the furniture factory "Dallas", in the former administrative building. The capacity of the Center is 100 beds and it occupies an area of ​​400 square meters. 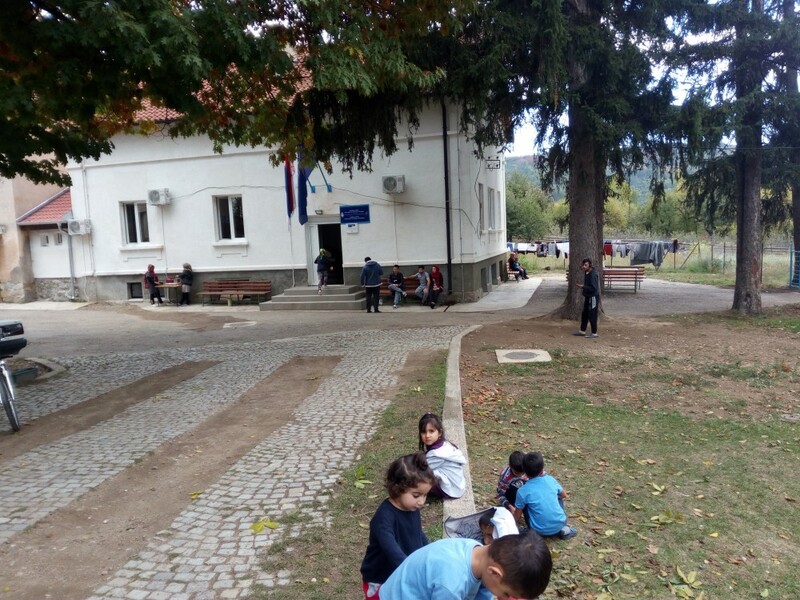 The plan is to relocate the Center in the village of Velje Polje, within the Municipality of Tutin, where the construction of a new Center is in progress. Collective Center "Krnjaca" was opened in 1992 in the building of the water company "Ivan Milutinović - PIM Standard", in Krnjaca, Municipality of Palilula, Belgrade. 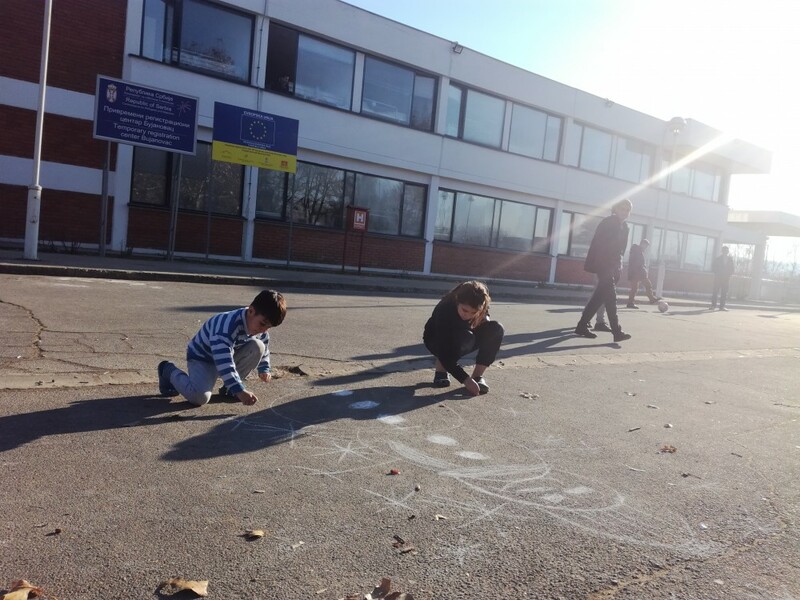 By a Decision of the Government of the Republic of Serbia in August 2014, this center was also designated for accommodation and provision of basic living conditions for asylum seekers. The Center for Asylum includes the accommodation part, administrative building, special purpose rooms and auxiliary facilities. The Asylum Center has 16 prefabricated facilities with 240 rooms for accommodating asylum seekers with a total capacity of 1,000 beds. Each barrack has 12 to 15 sleeping rooms with four beds and a bathroom with four showers, four toilets, four sinks and a washbasin. All barracks have access for people with special needs. Upon admission to the Center, all beneficiaries are appropriately familiarized with house rules. They are entitled to a bed, bedding, blankets, towels, hygiene products for personal care, clothing and footwear. 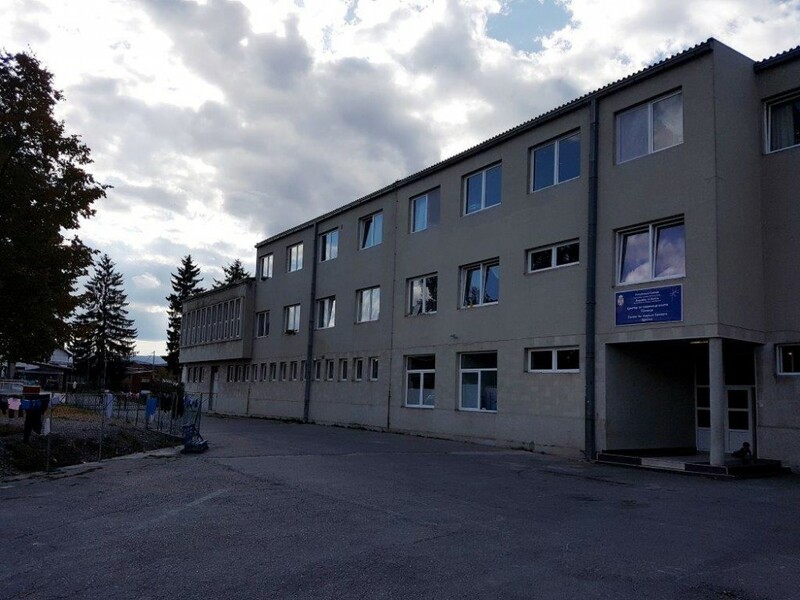 Reception Center in Presevo was the first center for reception and, at the time, the transit of migrants, opened on July 7, 2015. It has a capacity to accommodate 1000 persons. The Center is eqqupied with a dining room for 500 beneficiaries, two kitchens within the accommodation facility (each of 10 m2); bathrooms and toilets, a bathroom and a toilet for people with special needs, an outpatient clinic opened 24 hours a day, a mobile dental office, a sewing workshop, a carpentry workshop. The Center is currently in a standstill due to the rationalization of costs. 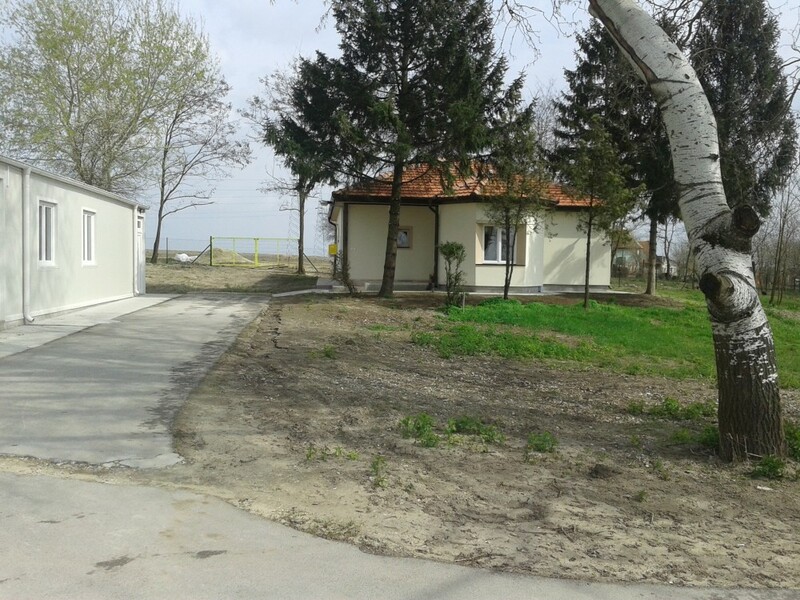 Commissariat for Refugees and Migration was given the military barracks “Borko Markovic” in Obrenovac in order to relocate migrants away from the inhumane conditions in Belgrade parks to an adequate accommodation within the territory of Belgrade. On January 15, 2017, needs were assessed and infrastructural works began to create the conditions for the prompt accommodation. On January 18th, 225 migrants were accommodated in the facility number four. Two more facilities were built soon, the former barracks ambulance (office for administrative affairs and accommodation of Commissariat’s staff) and a large facility number 12 in which a clinic for the examination of the migrants was established. Shortly, the number of accommodated persons increased to 570, with a trend of increase throughout 2017. The largest number was recorded in May 2017 and it amounted to 1351 users. 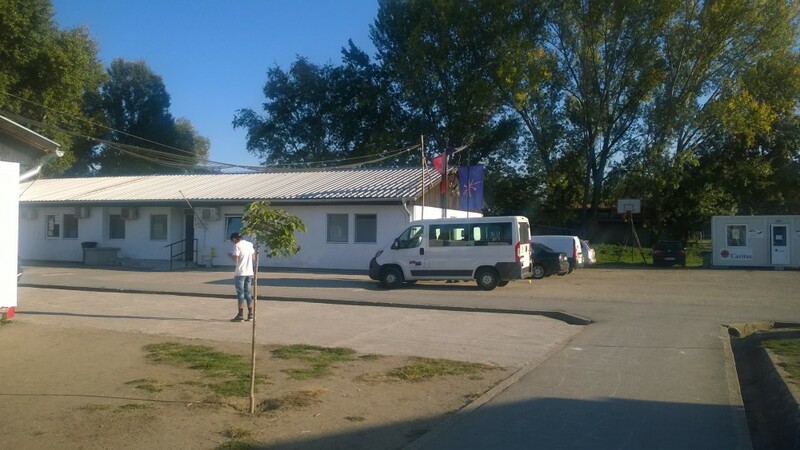 The Center in Obrenovac currently has room for the reception of newcomers and for the accommodation and daily duties of the Commissariat’s staff, a canteen with a store, an IT corner, a living room, a hairdresser and a barbershop, a classroom for migrants, as well as a recreational area and a restaurant where food is distributed. Refurbishing and renovating works were carried out in a facility intended for an outpatient clinic. The overall Center, as an important facility for the reception of migrants, will undergo further adaptations and infrastructural reconstruction in order to provide for even better conditions. 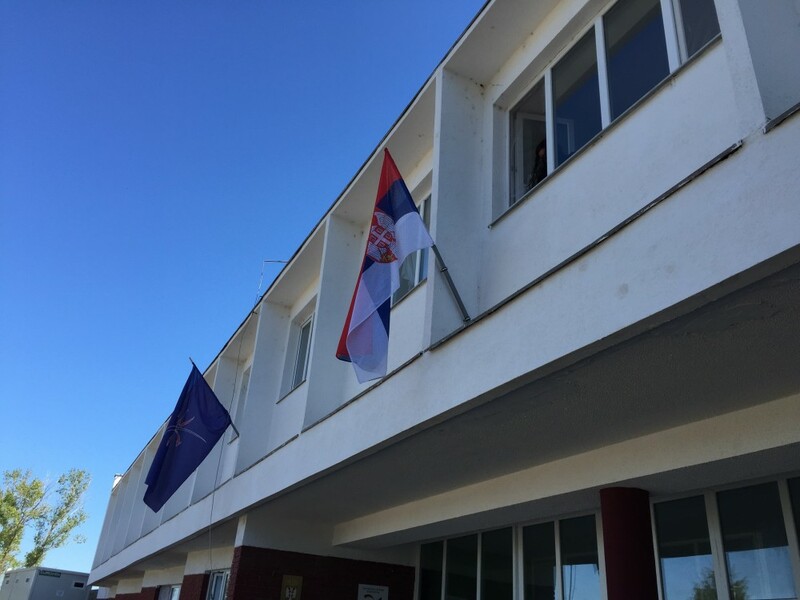 Reception Center Adasevci opened on the 11th of November, 2015 in the building of the former motel "Adasevci", which is located near the Belgrade-Zagreb highway within the Municipality of Sid. It consists of accommodation and business premises, rooms for special purposes, kitchen and parking. Special attention is paid to provide for various age groups and their needs in order for everyone to spend quality time while at the Center. Therefore, the Center features the Children's and IT corner, as well as Corner for Mothers and Babies, and a Corner for young people. In the hall of the Center there is also a hairdresser where beneficiaries may get their haircuts free of charge by a fellow migrant. There are also a large and small laundry. The Center also possess fields for recreation, a children's playground and an improvised volleyball court. Reception Center "Principovac" was opened on the 16th of September, 2015 in the building of the former Children's Rehabilitation Center. The Building has 2,732 m2 and it is divided into two parts. The major part is for accommodating migrants while in the second part there are rooms for the Commissariat’s staff, an office, clinic, and the rooms for interview, meetings, the police, as well as warehouse space. Beneficiaries are accommodated in 20 rooms while the overall capacity of the Center is at 250 beds. Migrants also have 14 shower cabins, 19 toilets (10 for men, 8 for women) and 25 drinking fountains at their disposal. In the part of the building intended for migrants there is a Children's corner, a corner for Mother and Child, an IT corner, a Social corner and rooms for occupational and recreational activities (hairdresser, carpenter and tailor's workshop). Migrants have at their disposal a volleyball court, cricket, football and a playground for kids, as well as table tennis equipment which may be moved inside during colder weather. A plot of two hectares is fenced and the length of the fence is 604 meters.The Center has a video surveillance system consisting of 16 cameras covering the common premises in accommodation facilities, the entrances as well as certain parts of the yard. 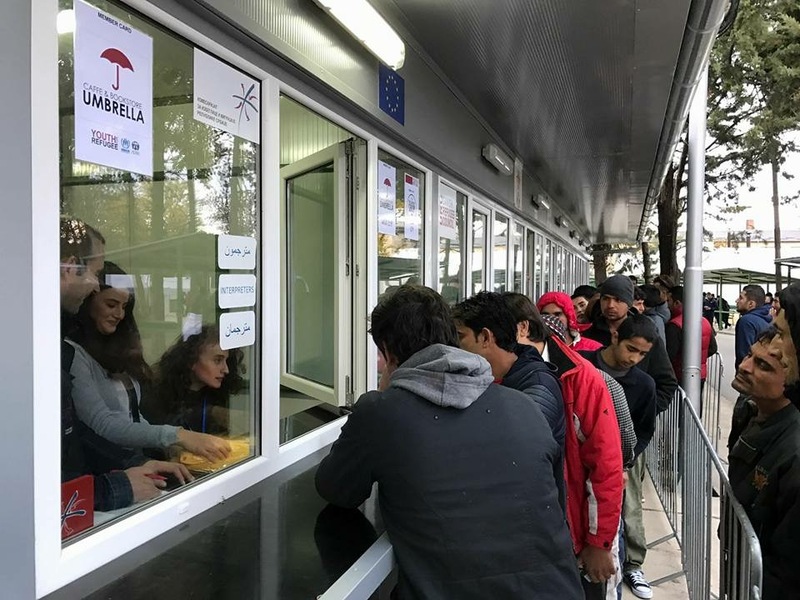 Reception Center Sid Station was opened on November 24, 2015, in the midst of an increased influx of migrants passing through Serbia, who were transporeted in buses from Presevo ​​to Sid, and then boarded a train for Croatia. Commissariat for Refugees and Migration opened this facility, located exactly opposite the Railway Station and right next to the Bus Station, in cooperation with the Municipality of Sid. Initially, the capacity was 200 places for reception and a hundred for longer stay. The Center was temporarily closed on May 31, 2017. At the beginning of December 2018, it was reopened to accommodate only families with children. Collective Center "The Fourth Kilometer" in Pirot was opened in 1983 in order to accomodte the workers engaged in the construction of the Hydroelectric Power Plant Pirot. From 1995 to 2005, the facility was used for the accommodation of refugees from Croatia. After a thorough renovation in 2016, the first reception of a group of asylum-seekers from Afghanistan, Iraq and Syria was carried out on December 19. 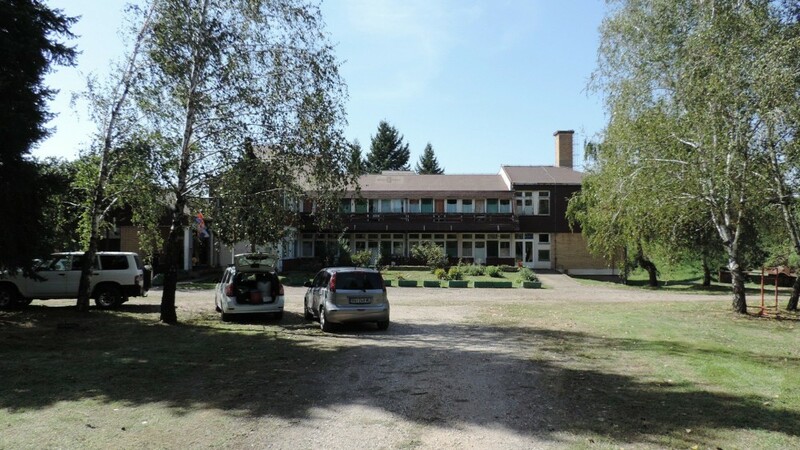 The Center consists of two prefabricated barracks intended for accomodation, with four sections with rooms each, which is a total of 32 rooms or 192 beds. There is a common room and a room for special purposes, an office, an outpatient clinic, a playroom for children with a classroom for learning foreign languages, a tailor's salon, a hairdresser, a dining and living room, a laundry room and a warehouse. Within the Center there is a boiler room for central heating. From the auxiliary facilities, there is a laundry room with washing and drying machines, and a storage room. Moroever, there is an outdoor playground for children, as well as basketball and football courts, table tennis, and other recreational fields. 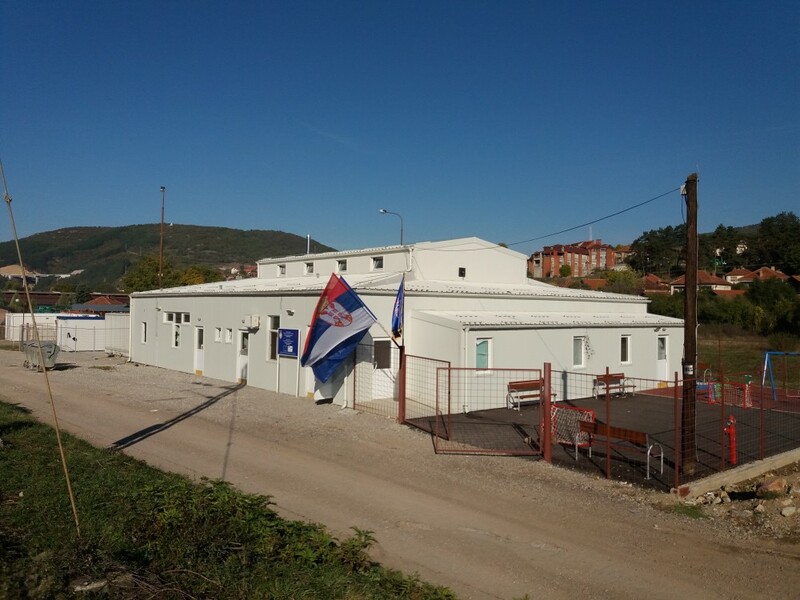 Reception Center in Bujanovac was opened on October 19, 2016. It is located in the area of ​​the former factory “Svetlost”, on an area of ​​2,000 square meters. It is relatively isolated from the town, but not too far from the actual downtown. 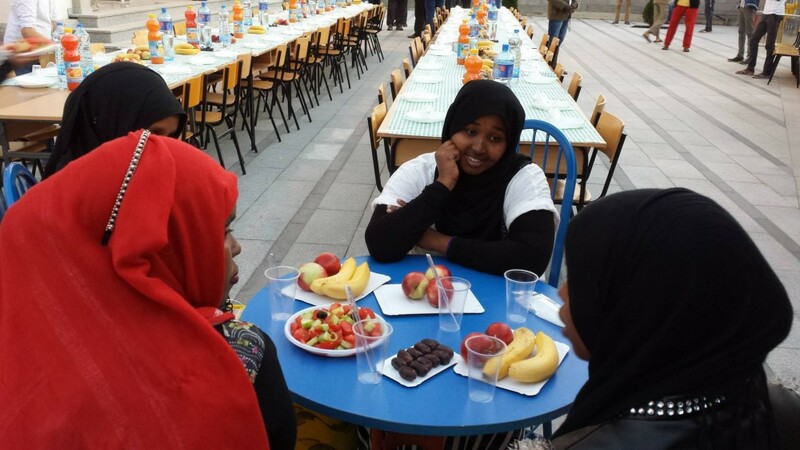 Accommodation capacity amounts to 220 beds and it mainly hosts families from the Middle East. 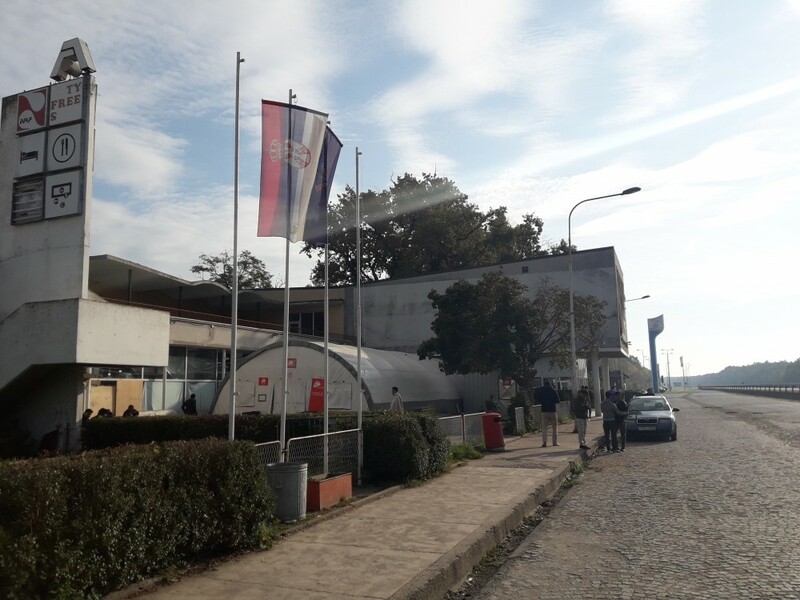 The Center in Bujanovac, as well as all other centers, operates according to the House rules, while exit and entry into the Center are monitored by the Commissariat’s staff. The Center itself is divided into the part where the asylum seekers are accomodated, and the part featuring a large dining room, men's and women's restrooms, as well as facilities intended for personal hygiene. Also, as in all other centers, there are medical teams assisted by interpretators. Moreover, the Center has several special rooms reserved for Commissariat’s staff, other relevant organizations and the Center for Social Work, the Children's corner, as other facilities for beneficiaries. 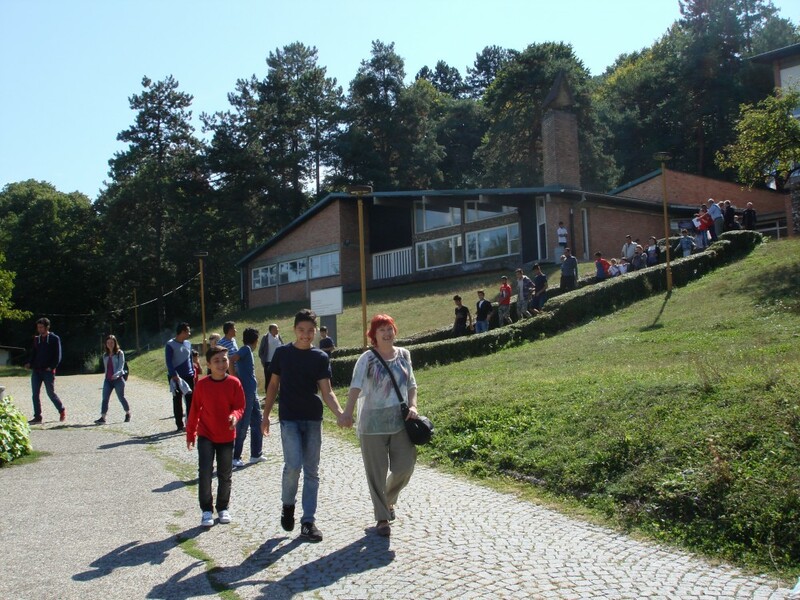 Reception Center in Vranje is located in the south of Serbia, about 30 kilometers from the border with Macedonia. The Center was officially opened on May 30, 2017, in the renovated part of Motel "Vranje" at the entrance of the actual city. Accommodation capacity is at 250 persons. Dormitories, a common area (dining room, Corner for children, sanitary facilities - men's and women’s restrooms with access for disabled, and a room for various activities), medical block and an administrative section (premises for employees) as well as sports grounds and parking space. 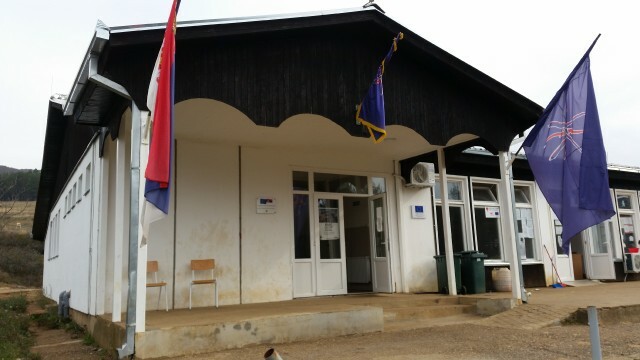 Reception Center in Divljana was open on December 31, 2016. It consists of two pavilions and a management building. Pavilions consist of eight rooms for the accommodation of migrants. Each room has three separate sections, each containing 6 beds, a common lobby and a double toilet. The accommodation capacity is 280 beds. Each pavilion has a lounge for joint activities. One pavilion has a classroom with an IT corner, a Corner for children and rooms for non-governmental organizations. The second pavilion has a hairdresser, a room for sewing workshops, a corner for children's activities and a warehouse space. The administrative building has a dining room and a kitchen where migrants are preparing meals, a doctor's office, a laundry room, and improvised cinema, a classroom where adults learn languages, a boiler room, and the offices of the Commissariat. Beneficiaries are provided with daily medical assistance and, if necessary, sent to the nearest healthcare institutions accompanied by an interpreter. Police patrols also monitor the area around the Center, taking care of safety and security around the premises. The reception center includes an outdoor playground for children, small football courts, volleyball and basketball, table tennis and miniture soccer, as well as equipment for cricket. 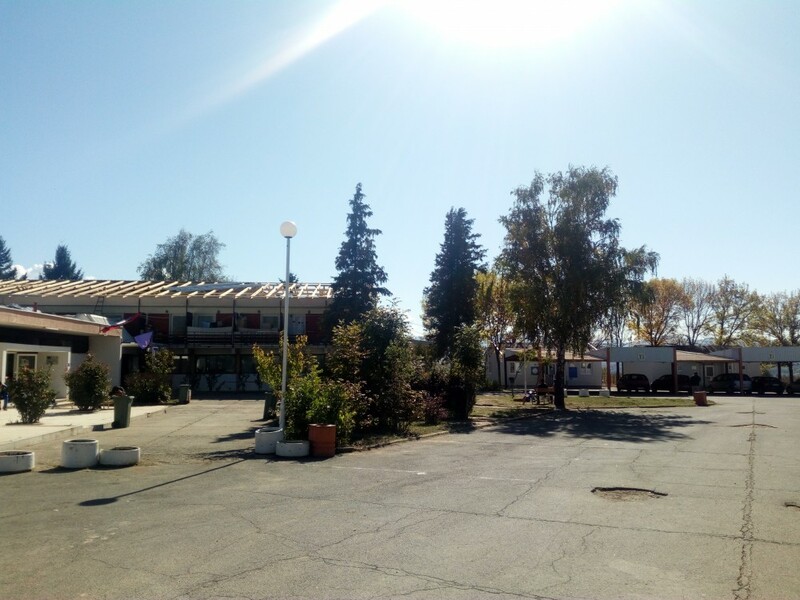 Reception Center in Dimitrovgrad is located in the south-eastern part of Serbia, Pirot Municipality, 5 km from the border with the Republic of Bulgaria. The Center was officially opened on December 1, 2016. The accommodation capacity is 86 (74 in the actual Center and 12 in housing containers). In the yard there are 8 containers (3 housing, 3 sanitary and 2 warehouses). 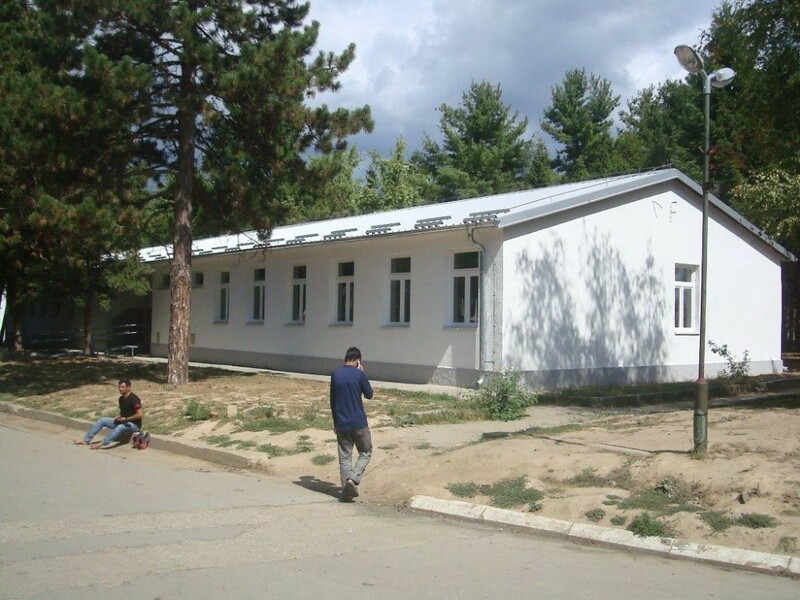 Reception Center in Bosilegrad was opened on the 19th of October, 2016. The total capacity is 60 people. The building encompasses a total area of ​​503m2, where the ground floor covers an area of ​​189m2, the attic is ​​162m2, and basement area amounts to ​​152m2. Room arrangement by floors is the following: Ground floor (4 rooms, 1 sanitary block, dining room, office, hallway, washing and drying area with a sanitary block), the attic (3 rooms, 1 sanitary block), basement (2 rooms for workshops, sanitary facilities, warehouse, boiler room). Reception center in Subotica was opened on the 15 of November 2015, by the Decision of the Government of the Republic of Serbia and the City of Subotica. The Center is located close to the highway exit, only three kilometers from the city center. It currently consists of dormitories, an administrative buildings, a new building, housing and sanitary containers, common rooms, parking lots, reception and courtyards with park. Reception center "Sombor" was opened on November 6, 2016. It consists of two buildings for accommodation of migrants, common rooms, dining rooms and sanitary blocks, an administrative unit, auxiliary facilities, parking, recreational grounds and auxiliary sanitary block. The Center also has an equipped office of the Commissariat for Refugees and Migration of the Republic of Serbia, a meeting room, and premises for the needs of the Ministry of Internal Affairs. 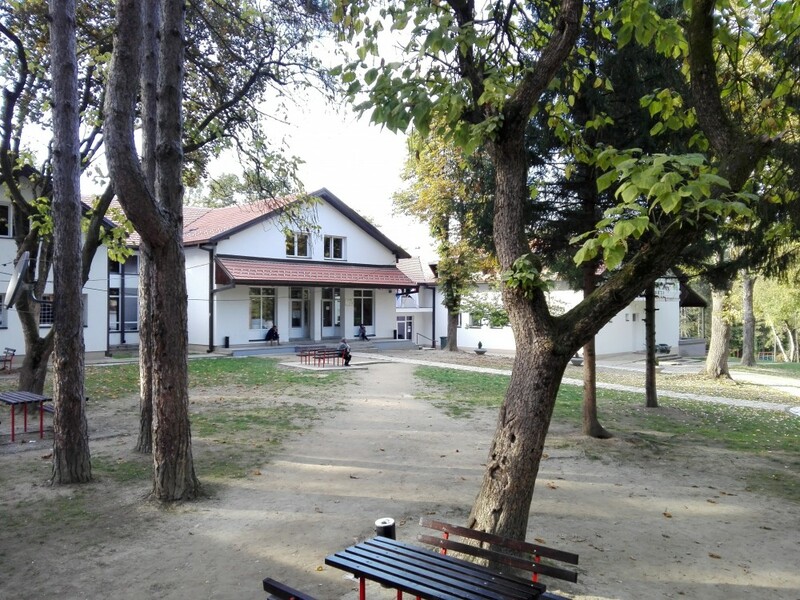 The Center has a modern dining room with a food distribution line, a special purpose room - for learning Serbian, English, German, History, Mathematics, Geography and Fine Arts. There is also a children's playroom, a social corner, hairdresser, the library. Users receive free legal and psychological assisstance, as well as adequate medical care. Migrants have various sports activities at their disposal, such as basketball, football, volleyball, cricket, table tennis, miniature soccer and darts. Reception Center "Kikinda" was opened on April 5, 2017 in the premises of the agricultural enterprise "29. November " in Bantska Topola, Municipality of Kikinda. It has common areas and special purpose rooms, as well as the auxiliary facilities, parking, recreational grounds next to the main building. The Reception Center has 240 beds in 21 rooms. Each floor has 10 sleeping rooms with 4 to 16 beds, sanitary block and a bath with showers. The Center has its own boiler room and central heating during the winter period. It has an equipped office of the Commissariat for Refugees and Migration of the Republic of Serbia, a meeting room and the premises for the needs of the Ministry of Internal Affairs. Migrants are provided with personal hygiene products, clothing, and footwear. There is a laundry and drying lounge as well as a warehouse. The Center has a kitchen for food distribution. It also has a classroom for learning Serbian and English and computer basics, Children's playroom, a Corner for Mothers and Babies, Social Corner, and a hairdresser. Beneficiaries are provided with medical care and free legal and psychological assisstance. There is an equipped ambulance and a quarantine like room in case of an epidemic. Facilities for sport and recreation include: basket, football, volleyball, cricket, table tennis. ALL CENTERS are open type, without restrictions on entry and exit between 6 a.m. and 10 p.m. during winter and 6 a.m. and 11 p.m. in the summer period.